A little while ago I had the pleasure of being asked to become a C&G Baby Club Community Ambassador. The baby club is a place where mums and mumas to be can connect with others who are at the same stage as them, and who understand and want to share what they’re going through. Community Forum – This is a welcoming and friendly place to share experiences and ask for advice or help from other mumas! Friend Finder – Here’s where you can connect with expecting mums local to you, either in person, on the phone or via email! Birth Month Group – You can chat to other mums and mums to be at the same stage as you, while sharing tips, stories and experiences. Amazing moments – I love this one! Pregnancy and parenting is full of amazing moments and here’s where you can share them with other mums and mumas to be! It makes the journey all the more exciting! 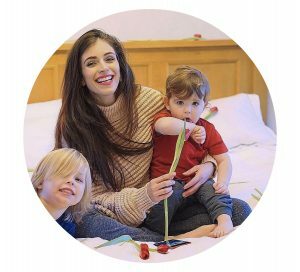 As my first ambassador role I got to be involved in the topic of weird and wonderful pregnancy cravings! There are lots of exciting things to come but here is the press release to kick start … and look I’m a spokeswoman! A poll from C&G Baby Club Community reveals a third of pregnant women (31%) are just as likely to find the object of their craving in a chemist or hardware store, as they are in a supermarket, as they admit to unusual hankerings for non-food items, such as soap (11%), chalk (6%) and toothpaste (5%), as well as creative combos such as sausages and jam. The survey found the most popular cravings to be sweet chocolate (30%); sour pickles (29%); and salty crisps (28%). With some of the more unconventional individual responses including rubber, paint and rocks, while one person even said tree bark and another the smell of tennis balls. At some point during pregnancy, nearly half of mums-to-be (49%) have felt embarrassed by their cravings, with a majority turning to an online delivery service to stock up on their unusual urges (34%). The new poll aims to celebrate all of the weird, wacky and wonderful elements of pregnancy, with the C&G Baby Club Community offering future mums a place to share their pregnancy experiences without judgment among those who know the feeling or have been there before. “Mums needn’t be fazed by their pregnancy cravings. After all, they are just one of the weird and wonderful experiences of pregnancy that every mum-to-be has. More than one in ten (12%) are desperate to fulfill cravings before breakfast while over a third (36%) of pregnant mums confess to sending their other half out in the middle of the night on a special trip to pick up a cravings meal. Family members and friends are also kept busy with one in three (32%) pregnant mums calling in foodie favours from their nearest and dearest. Cravings most commonly occur three to five times a day for more than a third of mums (36%) and it’s not always just a case of popping to the local shop. Nearly half (49%) of hungry mums-to-be are prepared to travel five to ten miles if what they crave is not already in the house, while almost one in ten (9%) would travel over 10 miles to fulfill their craving. Money is no object for some when it comes to matters of the tummy, with one in seven (15%) confessing they’d splash over £50 on their hankering. If mums-to-be can’t satisfy their cravings, they admit to suffering a range of emotions with many left feeling, anxious (23%) upset (21%) angry (20%) annoyed (18%) and even frustrated (18%). With chocolate being a popular choice, it’s unsurprising a quarter of mums-to-be most commonly have an urge for desserts (25%), followed by red meat (18%) and surprisingly some even fancy extra vegetables (13%). A quarter (27%) of respondents confessed to a liking for bizarre mixtures of sweet and savory foods. Intriguing combinations listed include sausages and jam, Mars bars and bacon, and Yorkshire pudding with chocolate spread.